We are provider of Pneumatic Grease Pump. We excel in manufacturing, supplying a wide range of a wide range of Grease Pump. We use advanced technologies and machineries for the process of manufacturing. 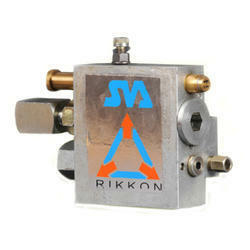 We are provider of VGP/10 Grease Pump. - Dispensing of grease at optimum pressure. Output at 8.5kgf/cm2: 300-400grams per min. Being a customer oriented organization, we are deeply engaged in offering a wide array of Bucket Grease Pump. Matching up with the requirements of our clients, we are involved in offering Pneumatic Grease Pump.